In my last post, I wrote about beautiful jewellery with dragons in them. I continued my search and bumped into the big world of games. Turns out, there is A LOT of dragons in the game world. Most of you probably knew it already, and so did I. But I could never expected it to be so much! 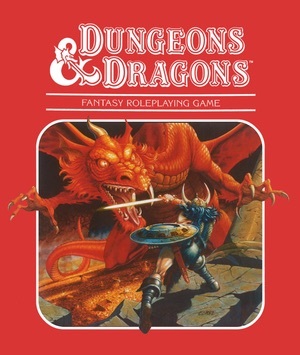 We all know about the classic Dungeons and Dragons, the board game that came to be a massive hit among so many people around the world. After its launch in 1974, it quickly began to climb up both the top lists and the wish lists. To many, it’s known to be the starting point to the era of our modern board games. It joins people and creates communities, as well as keeps friends together when they don’t meet up very often. It’s been an icon for board games, and it still is. Next up is the classic card games. Not that the card games itself is connected to dragons, but many uses the motive of the dragon together with cards. It’s not rare to see a card magician, or just a card player, use their special deck with a dragon on the back. The dragon is strongly connected to magic and mystery, and sometimes also the unexplainable. Maybe this is one of the reasons that playing cards so often has a dragon on the back side, to enhance the mystical feeling of the unexplainable events of card games. Not to forget the classic video games. Here you will find a lot of the dragons connected to games. Many of them are evil and seen as bad. Look at the classic video game World of Warcraft. The dragons in here are a very big and important part of the story, as they change the plot of the game a lot. They are close to the story and in a few places, your task is to slain them. But not only in WoW you find the dragons, also more child-friendly games has its dragons. For example, there is the very friendly dragon in How to Train Your Dragon, the online game based on the movie. Also in the spirit of Pete’s Dragon there is a few games and jigsaw puzzles. As a way back to the card games and the casino spirit, there is also a lot of dragons in the general casino world. Craps, as I wrote about a bit earlier, has some inspiration from dragons as well. However, I was more thinking of the slots and video slots. It may be more usual for video games or board games to have dragons in them, but slots also got its share. For example, we have the dragon as a bonus symbol in the slot Koi Princess. It’s also asian inspired and infused with dragons, so the trend is strong even here. 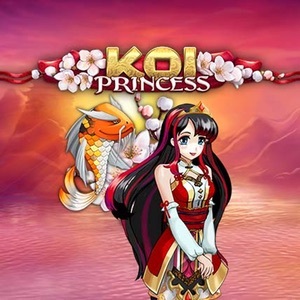 I found this at a site called freespins365.co.uk, which had a really good review of the Koi Princess slot. You can also see, if you look at the top list in the first link, that there are many casinos around. Many of them has a dragon infused games, but I found Koi Princess to be most interesting. As you may see, there is a lot of dragons around us. The ones we see may not be the living versions, but at least it warms my heart to see that they are not forgotten. When a dragon is projected as good or helpful, like in Pete’s Dragon or the Koi Princess slot, it suddenly feels even better.